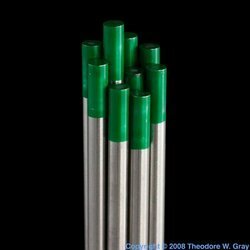 Sai Weld India is a supplier for Tungsten Electrodes. 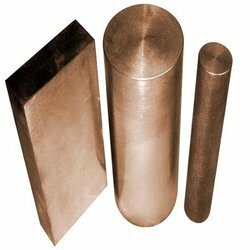 We are engaged in offering a wide range of Tungsten Copper eletrodes. Our clients can avail from us premium quality of tungsten electrodes. There are four types of tungsten Pure, Zirconated, Thoriated and Ceriated. · And above 12mm will be provided on order. 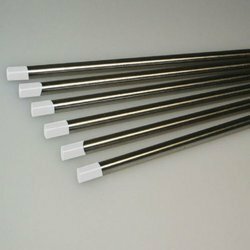 Pure tungsten electrodes (AWS classification EWP) contain 99.95 percent tungsten, have the highest consumption rate of all electrodes, and typically are less expensive than their alloyed counterparts. These electrodes form a clean, balled tip when heated and provide great arc stability for AC welding with a balanced wave. Pure tungsten also provides good arc stability for AC sine wave welding, especially on aluminum and magnesium. It is not typically used for DC welding because it does not provide the strong arc starts associated with Thoriated or Ceriated electrodes. 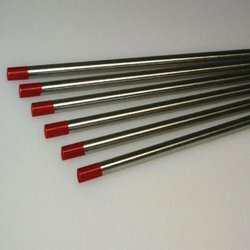 Ceriated tungsten electrodes (AWS classification EWCe-2) contain a minimum of 97.30 percent tungsten and 1.80 to 2.20 percent cerium and are referred to as 2 percent ceriated. These electrodes perform best in DC welding at low current settings but can be used proficiently in AC processes. With its excellent arc starts at low amperage, ceriated tungsten has become popular in such applications as orbital tube and pipe fabricating, thin sheet metal work, and jobs involving small and delicate parts. Like thorium, it is best used to weld carbon steel, stainless steel, nickel alloys, and titanium, and in some cases it can replace 2 percent thoriated electrodes. Ceriated tungsten has slightly different electrical characteristics than thorium, but most welders can't tell the difference. Using ceriated electrodes at higher amperage is not recommended because higher amperage cause the oxides to migrate quickly to the heat at the tip, removing the oxide content and nullifying its process benefits. Zirconiated tungsten electrodes (AWS classification EWZr-1) contain a minimum of 99.10 percent tungsten and 0.15 to 0.40 percent zirconium. A zirconiated tungsten electrode produces an extremely stable arc and resists tungsten spitting. It is ideal for AC welding because it retains a balled tip and has a high resistance to contamination. Its current-carrying capability is equal to or greater than that of thoriated tungsten. Under no circumstances is zirconiated recommended for DC welding. 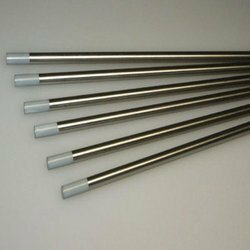 Thoriated tungsten electrodes (AWS classification EWTh-2) contain a minimum of 97.30 percent tungsten and 1.70 to 2.20 percent thorium and are called 2 percent thoriated. They are the most commonly used electrodes today and are preferred for their longevity and ease of use. Thorium increases the electron emission qualities of the electrode, which improves arc starts and allows for a higher current-carrying capacity. This electrode operates far below its melting temperature, which results in a considerably lower rate of consumption and eliminates arc wandering for greater stability. Compared with other electrodes, thoriated electrodes deposit less tungsten into the weld puddle, so they cause less weld contamination. These electrodes are used mainly for specialty AC welding (such as thin-gauge aluminum and material less than 0.060 inch) and DC welding, either electrode negative or straight polarity, on carbon steel, stainless steel, nickel, and titanium. During manufacturing, thorium is evenly dispersed throughout the electrode, which helps the tungsten maintain its sharpened edge—the ideal electrode shape for welding thin steel—after grinding. Note: Thorium is radioactive; therefore, you must always follow the manufacturer's warnings, instructions, and the Material Safety Data Sheet (MSDS) for its use. Copper Tungsten is a mixture of copper and tungsten. As copper and tungsten are not mutually soluble, the material is composed of distinct particles of one metal dispersed in a matrix of the other one. The micro structure is therefore rather a metal matrix composite instead of a true alloy. The material combines the properties of both metals, resulting in a material that is heat-resistant, ablation-resistant, highly thermally and electrically conductive, and easy to machine.Parts are made from the CuW composite by pressing the tungsten particles into the desired shape, sintering the compacted part, then infiltrating with molten copper. Sheets, rods, and bars of the composite mixture are available as well.